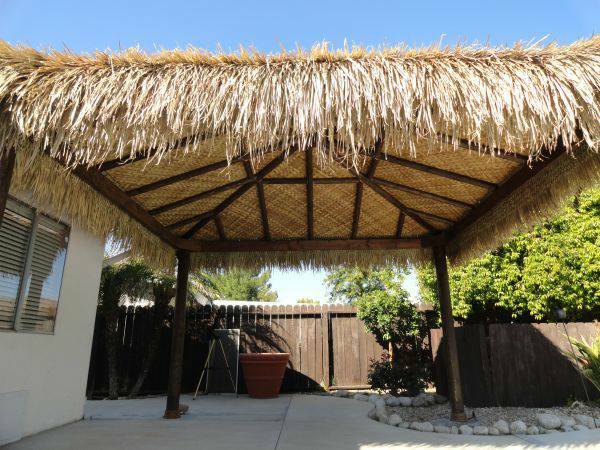 Specifications of Mexican Rain Cape Thatch: Hand-woven palm leaf sheet is for 36" x 60' x 1" thick and weigh 55 lbs each roll. 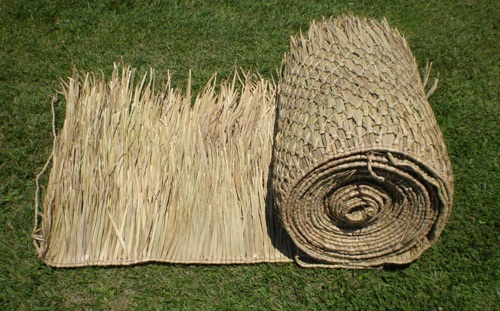 These Thatch Rolls are class A rated fire retardant for interior or exterior use. These are rated for business use and are also event approved. Also come with fire certificate with each purchase. Mexican Rain Cape Thatch Dimensions: 36" x 60' x 1" thick. Each roll provides 110-120 sq ft of coverage. Please allow material for overhang also when calculating thatched material.